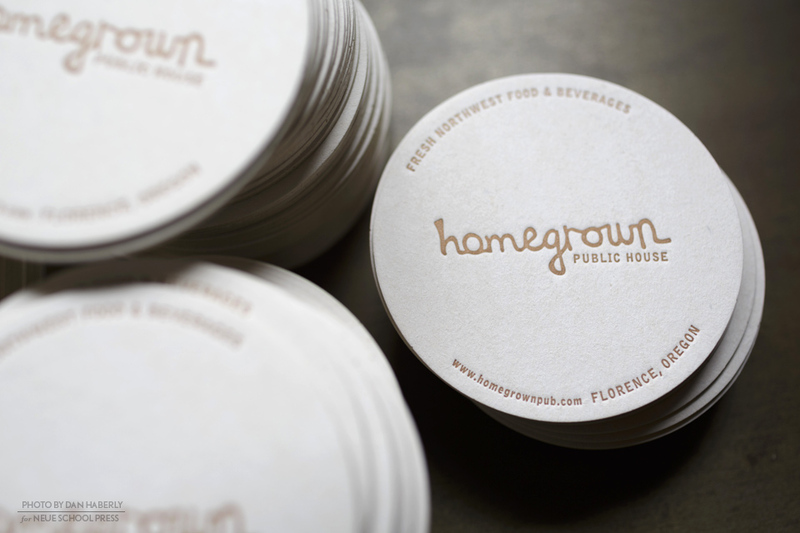 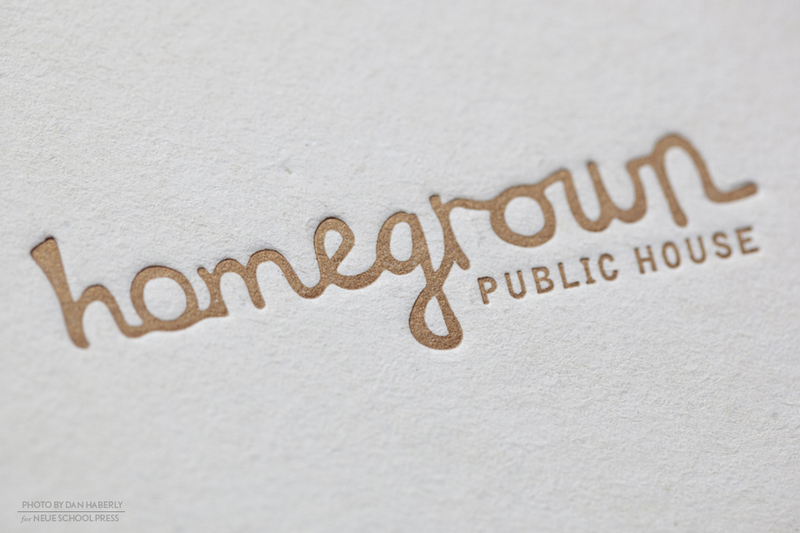 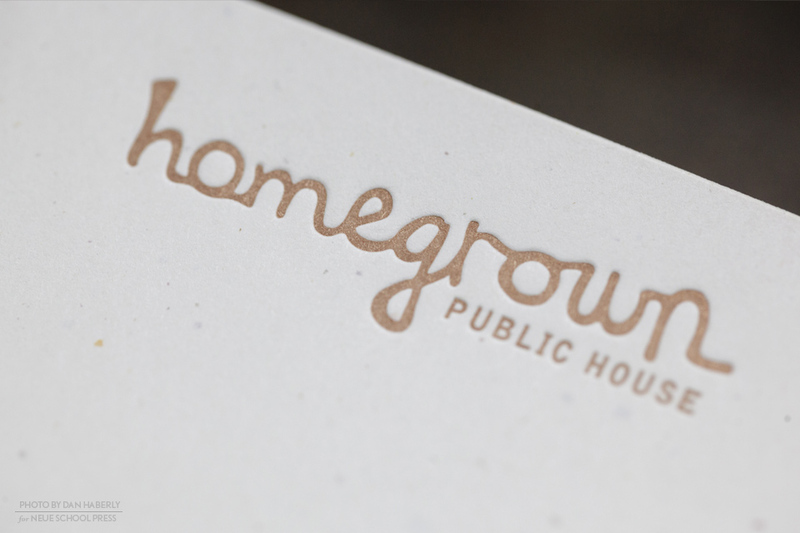 Homegrown Public House gets a classic identity incorporating their existing logo. 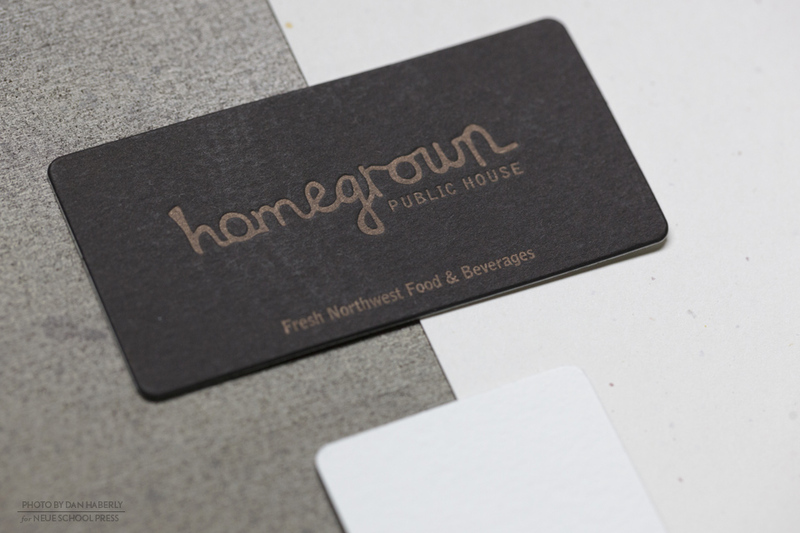 A palette of metallic copper, black and white conveys the warm sensibility of the restaurant. 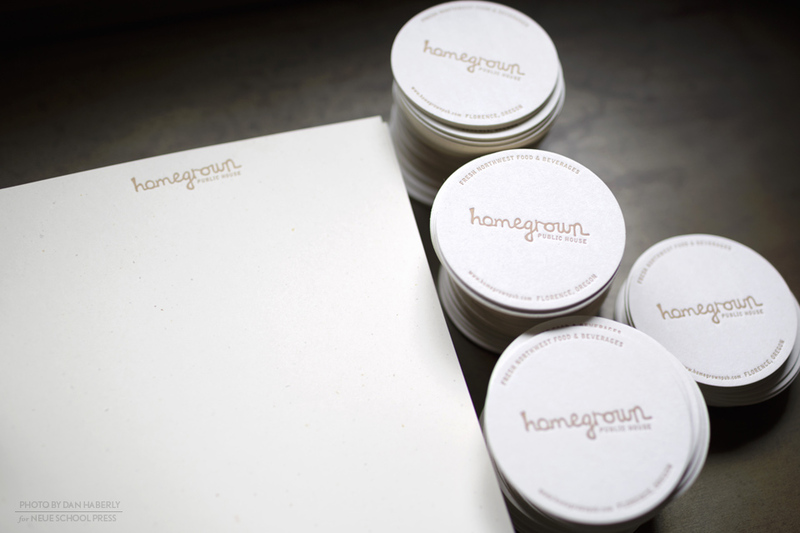 We incorporated an assortment of papers in varying shades and textures with embedded fibers and flecks, a paper parallel to the experimentation with ingredients in the cooking process. 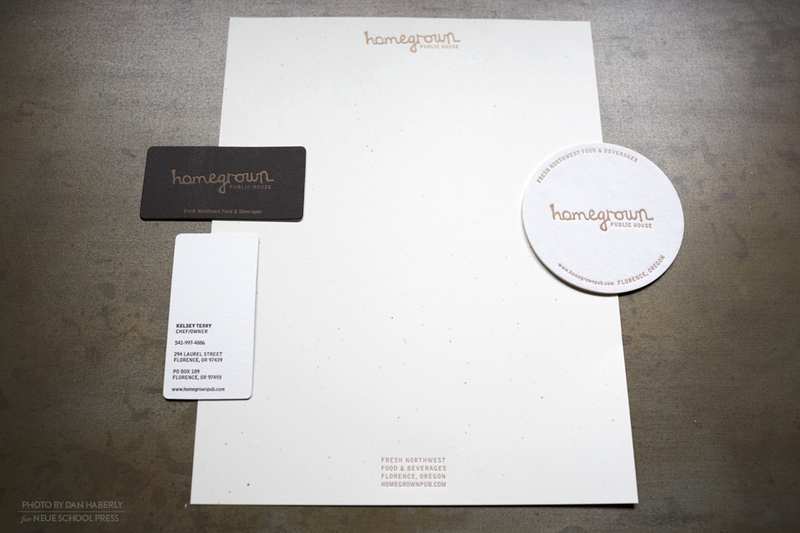 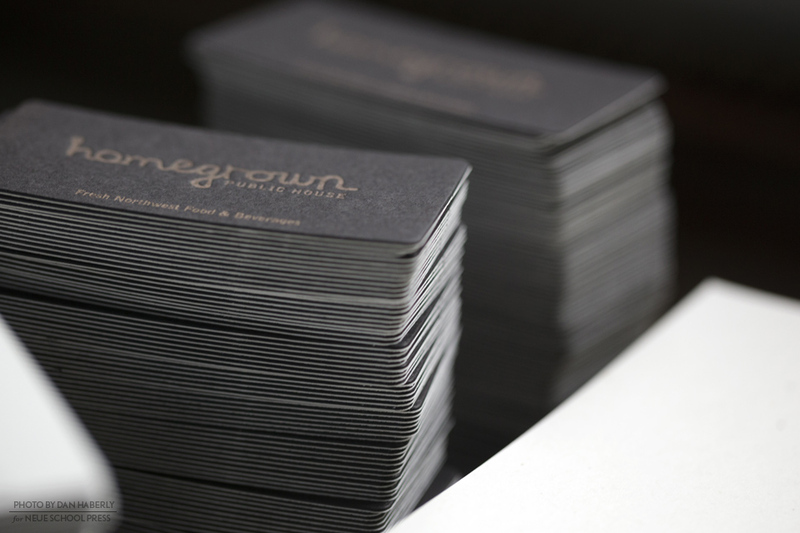 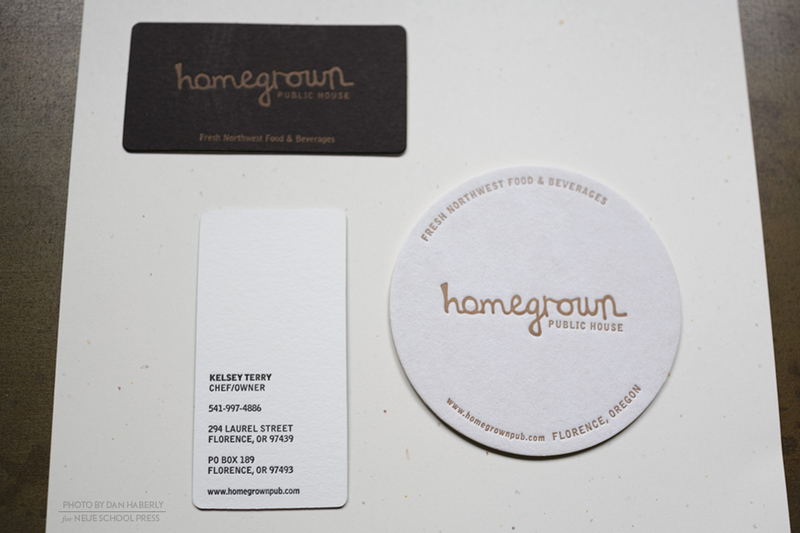 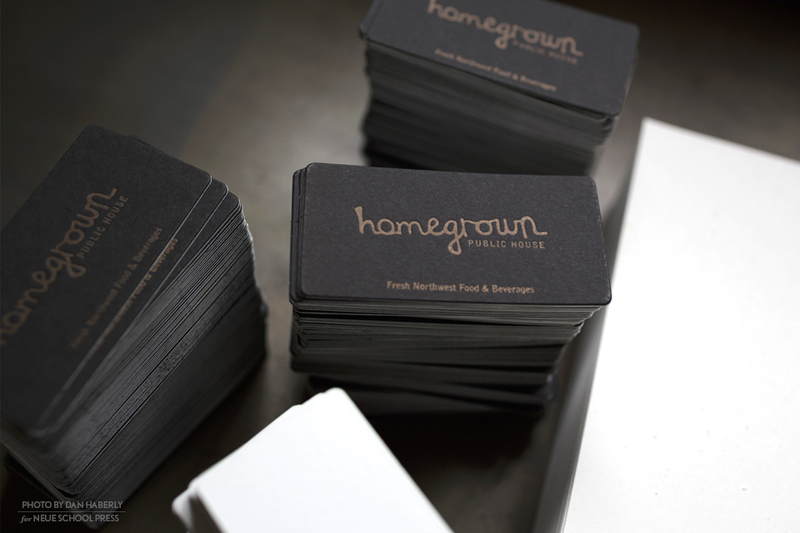 The identity included business cards for the owner and chef, drink coasters and a letterhead for printing in-house menus. 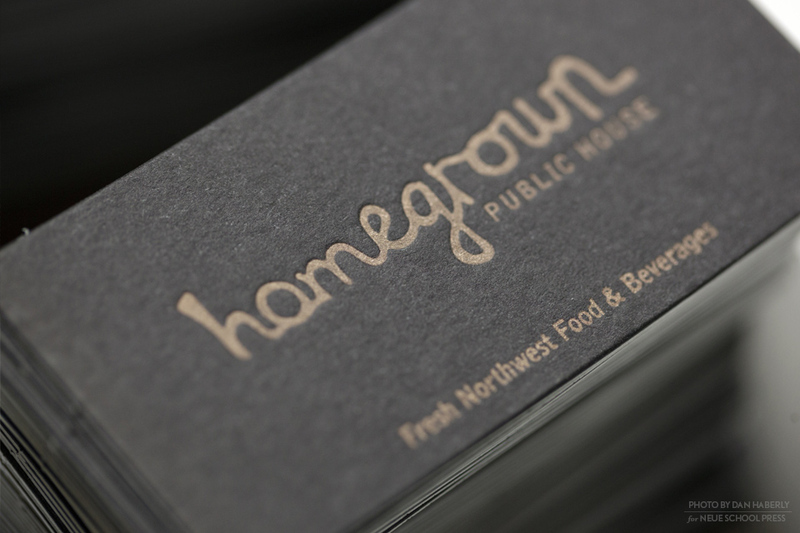 All materials were letterpress printed in metallic copper and black ink, the business cards are a custom duplexed paper, white on black and the coaster is 1/8″ thick, premium pulpboard stock.